On Aug. 7, Rep. Steve Knight, R-Calif., was at Crazy Otto’s on Ave. 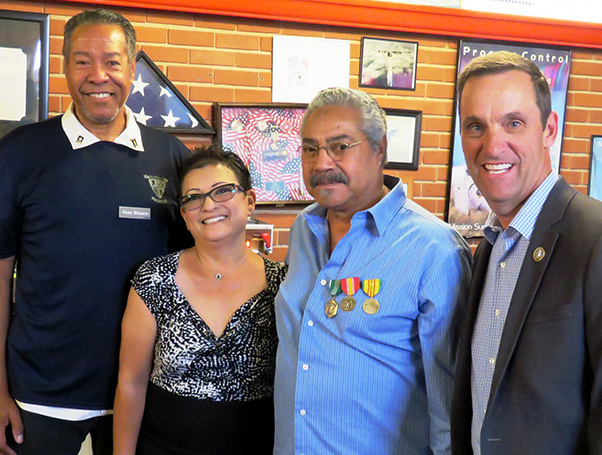 I in Lancaster, Calif., and presented medals to Nathan Blanco, a Vietnam War veteran who had not received his medals when discharged from the U.S. Army. Knight presented Blanco with an Army Commendation Medal, National Defense Service Medal, Vietnam Service Medal with Silver Star, Combat Infantry Badge, Expert Marksman and Parachute Badge.